(SPOT.ph) Diamonds may be a girl's best friend, but a tried-and-trusted lippie is a close second. Unfortunately, finding the perfect lipstick can feel like an impossible feat; after all, lippies aren't exactly low-maintenance. So many questions go through our heads whenever we try a new tube: Is it the right shade? Does it dry my lips out? Will it last the day? 1. It looks good on anyone. We all know that every lip has a natural color and undertone. That's why the same lipstick looks different on you and your best friend. Whether you're a morena or mestiza, you'll be able to flaunt this magic lipstick's pink hue because it adjusts to your skin's pH. Trust us; the color payoff is next-level! 2. It hydrates your pretty pout. The last thing you want is a lipstick that leaves you looking and feeling parched. If you don't have the time to use a lip scrub to slough away dead skin from your lips, don't worry. 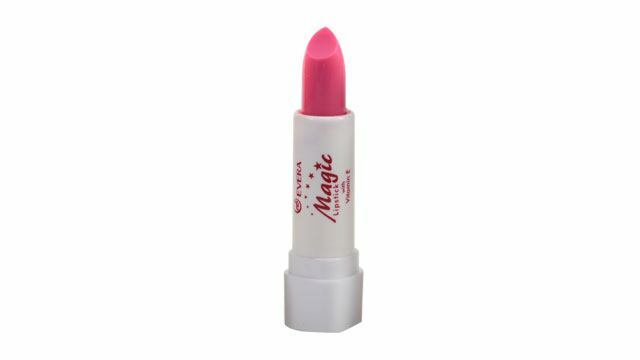 Infused with moisturizing elements, this magic lipstick glides on smoothly. With just one swipe, it keeps your puckers soft and supple. 3. It has an irresistible, fruity taste. Unlike other lipsticks, you won't feel like you're accidentally consuming chemicals every time you put this on. In fact, because of its fruity taste, it might just get your boyfriend's kiss of approval! 4. It won't break your bank account. If lippies are your guilty pleasure (and we all know it is), complete your collection by picking up all six flavors of this magic lipstick: apple, orange, strawberry, lemon, grapes, and watermelon. At P85 a pop, it's definitely a steal! 5. It stays on all day. Try eating and drinking while wearing this lipstick, and see that it barely transfers! Touch-ups won't be necessary with this long-lasting lippie. It clings to the lips without feeling dry or heavy. Ever Bilena Evera Magic Lipstick is available in all Ever Bilena makeup counters nationwide.